We’re excited to share a glimpse into what the team has been working on in honor of Cupid’s Big Day. 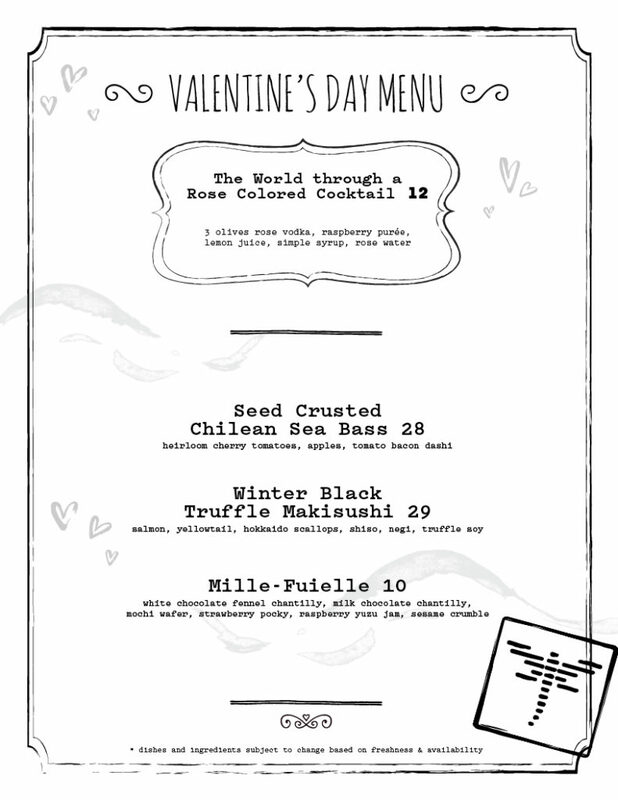 With only 10 days left, you’ll want to get your Valentine’s Day reservation in soon. In addition to these artful specials, we’ll also be serving our full dinner and sushi menus, giving you the opportunity to craft the perfect combination of kitchen hot food, sushi, and sashimi. We do still have some availability, but it’s going fast. Give us a call at (407) 370.3359 or online here to secure your table!